Electrical circuit schematic symbols are graphical sign, that is used to design electronic, electrical circuit schematic diagram. There is a quite adequate collection of symbol for electrical, electronic circuit. You can use this high quality schematic symbols to design your own schematic circuit diagram. 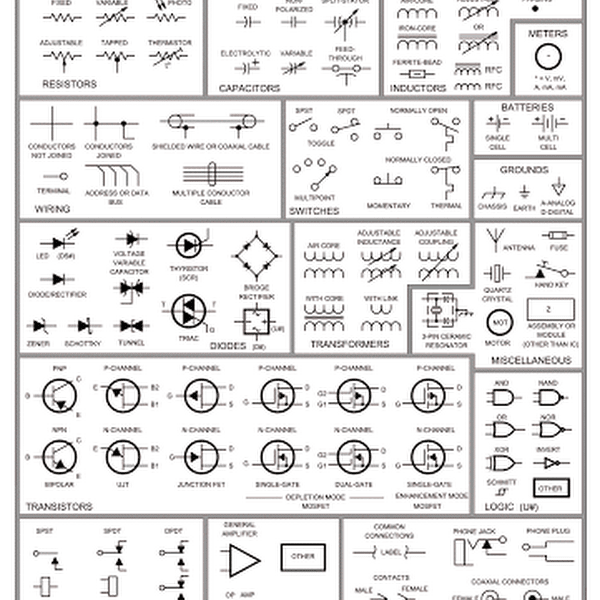 Download high quality electrical schematic symbols image. 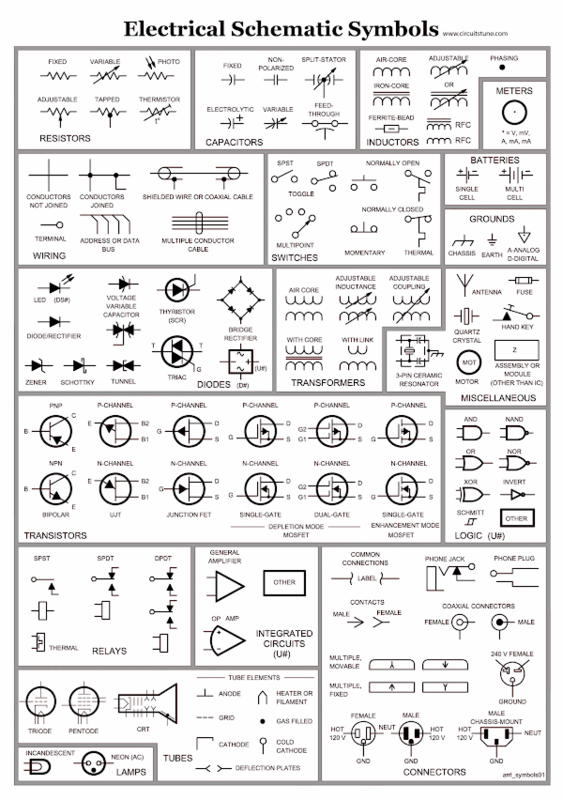 Click on the image of Schematic Symbols to enlarge. Special thanks to the author of www.ARRL.org for these high quality electrical schematic symbols. This circuit symbols are for educational purposes only, not for any industrial use. Nice buddy. its seems to be you have a nice blog. I'm impressed in your page loading speed.